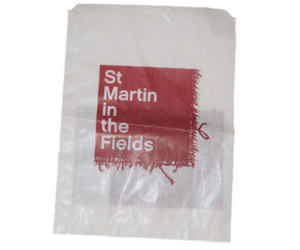 Get your powerful message across with Templecoombe Ltd Paper bags complete with plenty of Eco-Friendly options! Promote your products and brand message upon a great looking mobile advertising space. Bags are a great way of harnessing what is essentially a mobile billboard that will travel all around your local town. 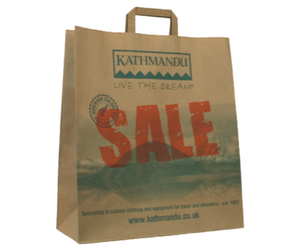 With our extensive range of paper bags you’re sure to find the perfect solution to deliver your marketing message. 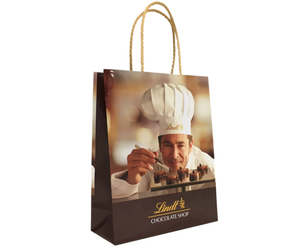 Laminated Rope Handle Paper Bags: Perfect for products that have that added touch of luxury, and ideal for the brand message that’s defined by a super shiny finish that oozes quality. Twisted Handle Paper Bags: Super strong and robustly reliable, our twisted handle paper bags are ideal for consumers who will use their bag again and again. 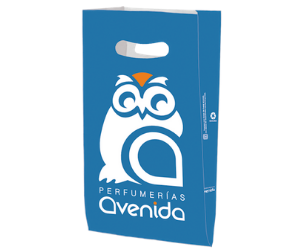 Tape Handle Paper Bags: For a more cost focused solution that provides for a sharp design onto which the coolest of brand slogans can be printed. Popular for food based uses, this bag design is particularly suited to bakers, sandwich bars and takeaway restaurants. 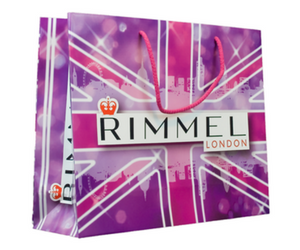 Un-Laminated Paper Bags: For uncompromising quality and a luxurious solution our un-laminated bags are ideal for use within retail or for promotional events where your company is jostling for attention amongst many others. 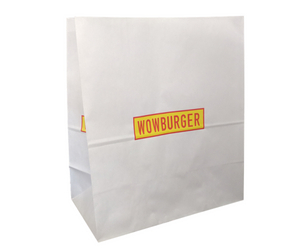 Counter Paper Bags: A savvy solution for every type of retailer, our counter paper bags are perfect for both practicality as well as for printing your wonderful message upon. For 20 years we’ve been delivering paper bag solutions to companies that seek out production levels that assure durability, uncompromising hygiene levels, and environmentally friendly paper and production standards. Define your brand: Through a marketing medium that allows for complete customisation where you can include your logo, slogan, message and contact details. Be environmentally friendly: Plump for paper bags for added environmentally friendly credit. Hardwearing and hygienic: Our paper bags are seriously durable and are equally created within tightly controlled production environments. Ideal for a hygiene option that is suitable to carry all sorts of food. UK based company: We’re proudly UK based, with a direct email and telephone number. Low costs for marketing on huge scales: Harness the power of mass exposure through an affordable marketing choice. Not sure which paper bag is right for you, your brand or your printing needs? Have a burning question about handles, paper thickness or some other technical query? Then get in touch. The Templecoombe team are here to answer your questions, queries and concerns super quickly. You can call the office on 01234 712121 or email the team via sales@templecoombe.co.uk.